How to Remove Blogger Label and Archive Page Snippets from SERPs? 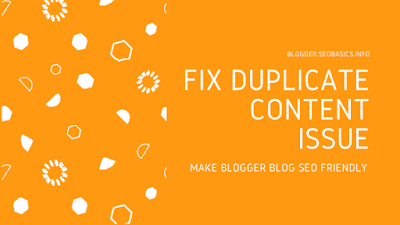 How to Fix Duplicate Content Issue for SEO on Blogger Blogs! This post Solves the Problem. How to Remove Blogger Archive Page URL from Google Search? Blogger platform is simply awesome, but it needs some tweakings to make it SEO friendly. If you don't know how to to do these little changes it can cause problems in search engines and you will lose rankings on SERPs and traffic. One of these problems can be duplicate content caused by Blogger archive and label pages being indexed. If you have this problem yourself, don't worry, you are in the right place! 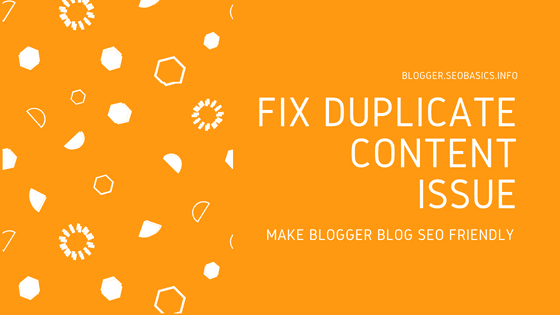 Duplicate content can be very problematic when it comes to SEO, and in Blogger blogs, this also needs to be addressed properly. Most of the blogger users block the labels to be indexed in the robots.txt file, and that's ok, not ideal, but ok! But what about the archive pages?! If you use the robots.txt file to block those archive page URLs, it will also block all of your post URLs because blogger post URL contains the archive format URLs. There are two ways to remove the archive pages from SERPs (search engine result pages), and I am going to explain both of them. Warning: this method sometimes doesn't work, I have tested it myself, Custom Robots Header Tags sometimes do not work at all, that's why I prefer to use the second method on my blogs. Open your blogger account, open the blog account that you want to remove the blogger archive pages and go to Settings and then click on Search Preferences. Search preferences go to Custom Robots Header Tags and click Edit. Check the boxes to set the flags according to your preferences, then view the sections of your blog that you customized (homepage, archive and search pages, pages and posts). Posts and Pages check All and noodp. The method described above with the custom robots header tags is way easier to be implemented, but sometimes it doesn't work, and that's why I myself use both of these methods. To remove the label and archive pages just follow the instructions I described in here. Open the HTML template editor on the blogger blog that I want to remove these pages. Copy this piece of code belove. Now regardless which one of the methods you used (you can use both methods, it doesn't matter), you need to do one more thing to complete the process and fix the duplicate content issue! This will open up a Google Search Result Page with all the pages of your blog that are indexed on the search engine (I suppose you use Google). Now find the pages that you do not want to appear on Search Result Pages (pages that you do not want them indexed) like the label and archive pages because they do create duplicate content issues and do harm on your blogger blog SEO. Now that you have found these pages right click on them and copy their URLs and then paste them on the form of the page that you have opened before (https://www.google.com/webmasters/tools/removals). And remove them one by one! Wait for a day or two these unwanted pages will disappear from SERPs. That's it for this tutorial, I hope you find it helpful, and if you do not hesitate to share with your friends on the social media, and if you need any more help you can comment belove.